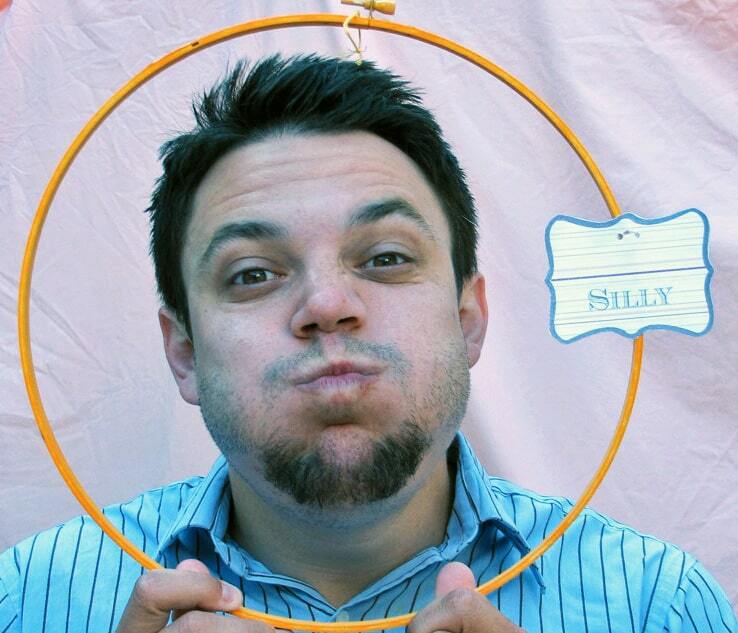 Inside: This easy homemade photo booth for the party that needs a little kick. Throwing parties are always a great idea – even when you are on a trip. Until you start realizing how much time, money and stress the preparation causes. Because of this, I am constantly coming up with ideas to help make the party a smash, without taking all of my precious time and money to create. With that in mind, we came off with the cutest, simplest and very affordable *under $10* homemade photo booth. When we originally came up with this idea Instagram was barely a thing. Now it is amazing to see how this simple idea – with the magic help of snap/insta filters – can transform your party both in person and online. Start with a thrift store sheet or some other length of fabric. I found a sheet in the perfect shade of sorbet for our party. You will also need three 14 inch embroidery hoops. You can find these for about a dollar each at any crafting store. 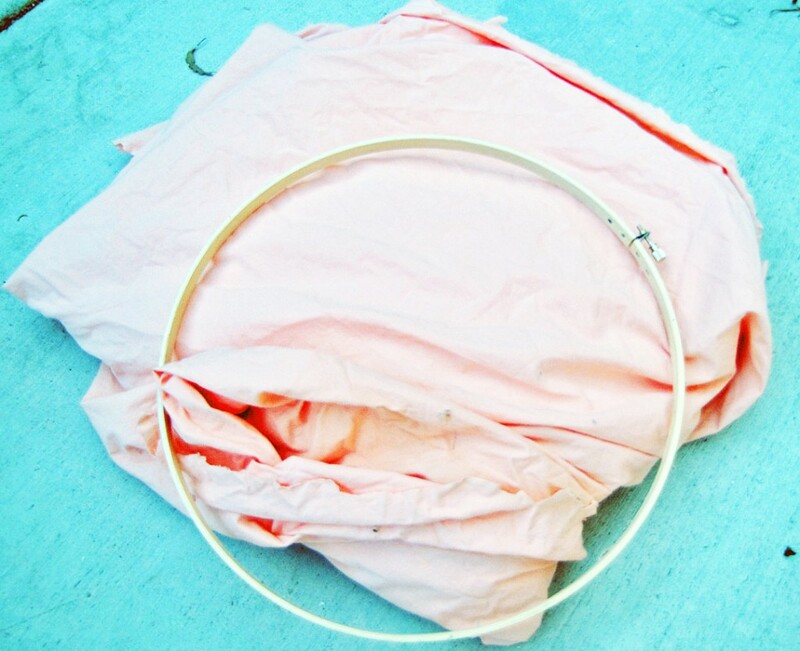 Take apart the hoops so you have two circles, then spray paint each of the circles to match your party theme. Measure out and hand sew six buttons onto your sheet in a circular pattern. 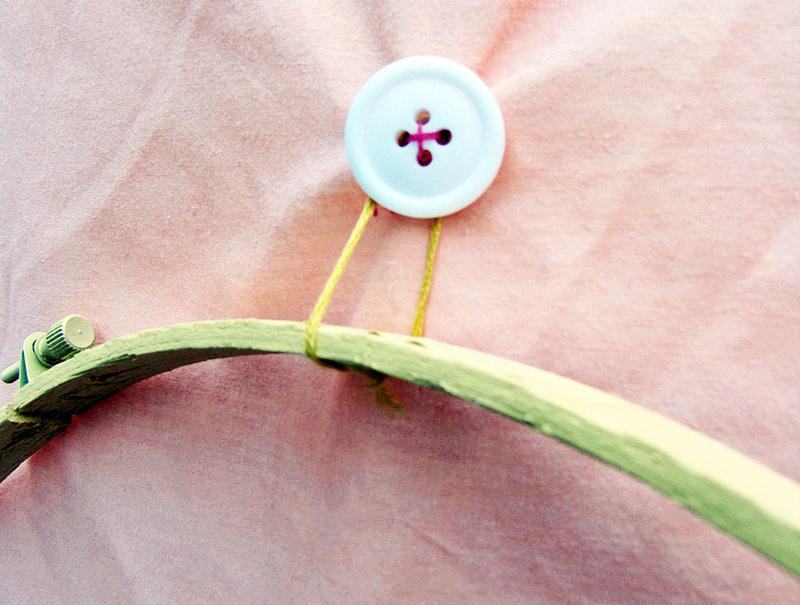 Tie a length of string or ribbon to each hoop. You will loop the hoops around the buttons for them to hang. 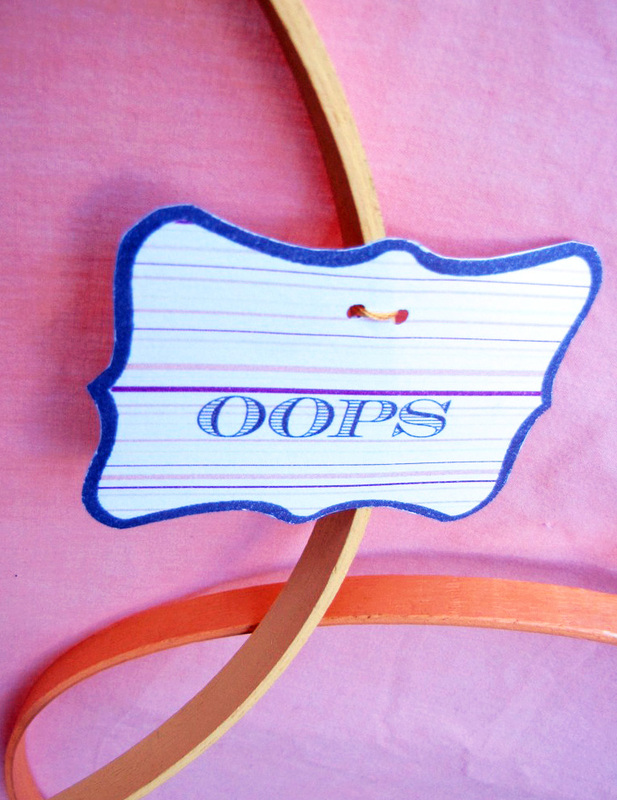 Next, you will attach labels to your hoops to give guests posing instructions. I have made our labels available and you can download by clicking the above link. Print, cut and attach to your hoops with glue, be sure to attach the labels off to the side so the full face will be in view. ….. I cannot think of a better way to spend 10 dollars of any party budget than on a homemade photo booth. But when I do want to spend more time I tend to get pretty crazy with all the ways you can make the photo booth even more fun. Like with costume hats, wearable confetti, and even printable temporary tattoos! So go as crazy as you want, or as simple as you want, but make sure you get plenty of pictures. PS. The rest of this party’s photos! I just found your blog after you commented on my post about playrooms. Love love love this idea! Can’t wait to read more here. You’ve got a new follower for sure. i literally laughed out loud. these are super funny pics of matt. Found you via One Pretty Thing. Great idea and so fun. Thanks for the labels too! 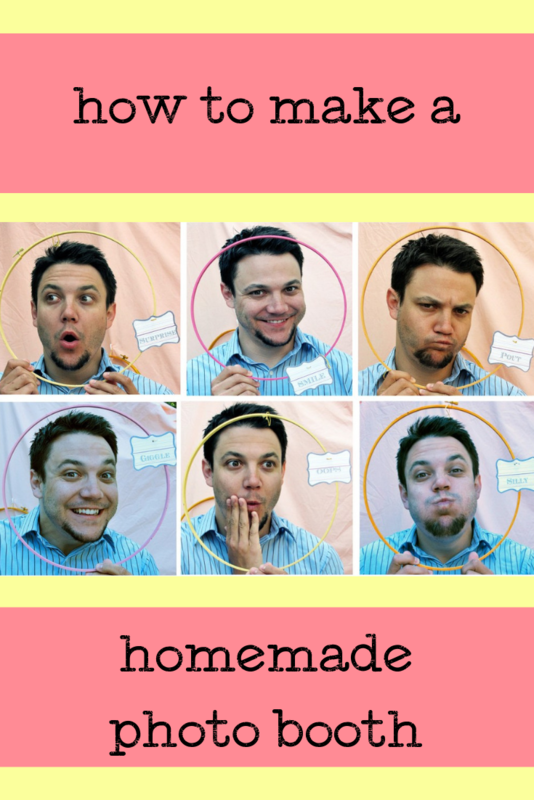 I linked to this in my post today about cute photo booths. The whole party was amazing…loved all those felt circles!